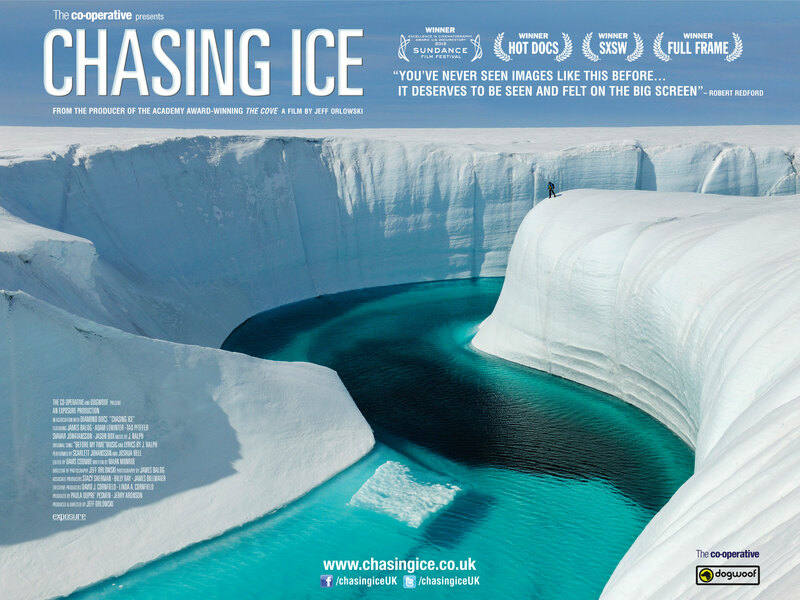 Come to our ‘Chasing Ice’ Movie Screening: Wed 18th June 2014, 6.30pm for a 6.45pm start – $5 donation at the door! The film follows photographer James Balog, who founded the Extreme Ice Survey, the most wide-ranging ground-based photographic study of glaciers ever conducted. National Geographic showcased this work in the June 2007 and June 2010 issues, and director Jeff Orlowski brought this story to the big screen. Beyond showing the startling footage of the disappearance of glaciers over just a couple of years, the movie explains the technical problems that Balog faced in setting up his cameras and the personal struggles he had climbing ice and snow even after multiple knee reconstruction surgeries. His perseverance is inspiring, however, and the visual evidence he presents is beautiful, haunting, and motivating.